Eliminate rust on the windshield of your Toyota 4Runner using these straightforward, handy solutions. The Toyota 4Runner is a durable vehicle with excellent interior options and a rugged exterior for high-level off-roading adventures. If you live in an area where rainfall, snowfall and other harsh conditions are common, even if only on a seasonal basis, you'll want to protect your windshield from rust, which can accumulate as moisture becomes trapped inside the trim. You'll also want to look out for your windshield wipers, which can also become corrosive over time. Here are the best (and easiest) solutions! If your trim does not fit snugly against your windshield, you can mask the problem temporarily with a self-leveling silicon adhesive. Largely considered a temporary fix, liquid sealants are easy to apply and cost very little money. In most cases, you can purchase a high-quality liquid sealant for as low as $3 and as high as $15. By sealing your windshield, you can prevent water from becoming trapped and causing rust. Figure 1. There are a variety of sealants on the market today. Pull the old molding off, using a pry bar, where necessary, and starting at one corner (near the roof). Do so until all of the trim is removed. Take caution when handling the actual glass, as you don't want to cause scratches. Use a rust remover and inhibitor spray, as needed. Install new rubber trim, remembering to seal it against future leaks. Figure 2. Molding can be removed quite easily. 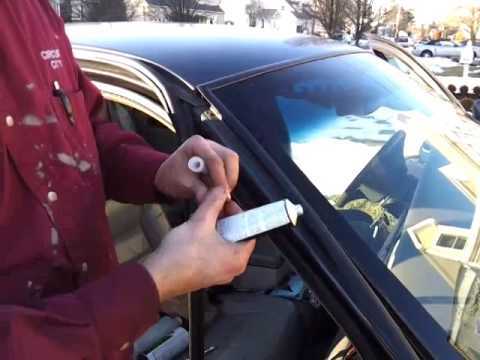 It's highly recommended that you treat the metal around your windshield with urethane to prevent future rust. 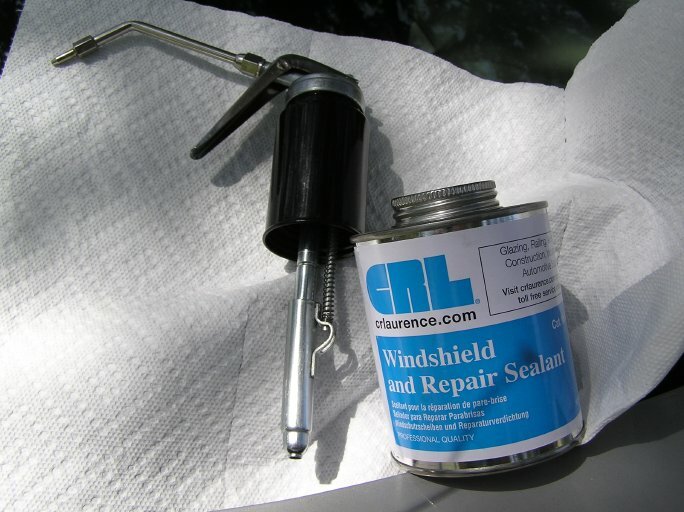 Replace your windshield wipers regularly and treat metal parts with a rust inhibitor. 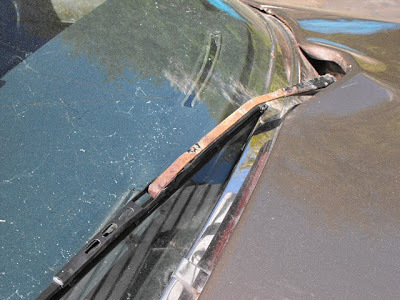 If pockets of rust do show up on your windshield wipers, you can always sand it down. However, this is a temporary solution, and, eventually, you will need to replace your windshield wipers as they become faulty. Figure 3. 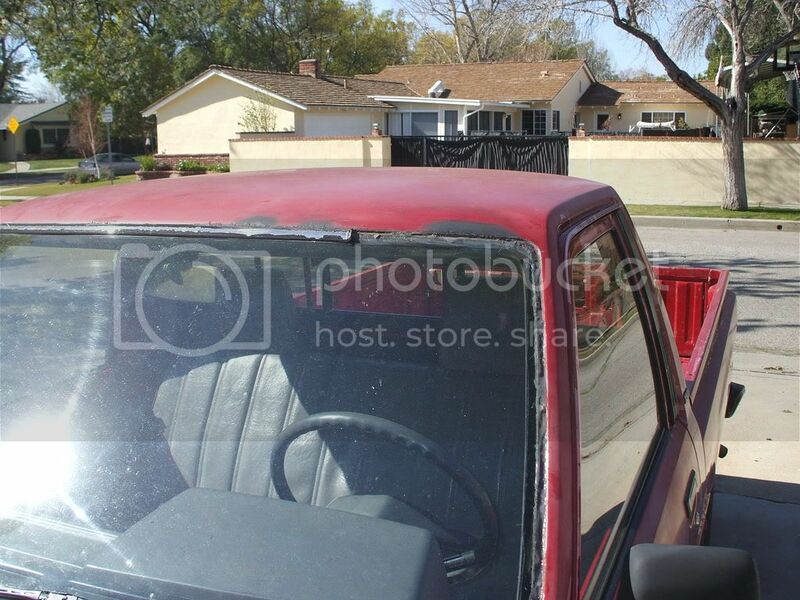 Protect your truck from rust at the first signs. Allowing rust to build up on your wipers could cause it to spread around the metal parts of your car, including your car frame and the lip of your hood. As the season moves forward, be sure to continue to check for leaks, and apply a rust inhibitor spray annually, or as needed. Also, park your 4Runner in a garage or enclosed structure during cold winter months or rainy season. Use weld patches as holes appear in the frame and apply an etching priming as needed. Keep these products in your arsenal, and you should be able to protect your 4Runner against rust for seasons to come. Figure 4. Fix leaks as they occur to prevent corrosion.